Your Microgrid Institute sponsorship delivers a unique set of benefits, unmatched in the industry. Gain market intelligence and insights that will help you identify project opportunities and turn them into contracts. 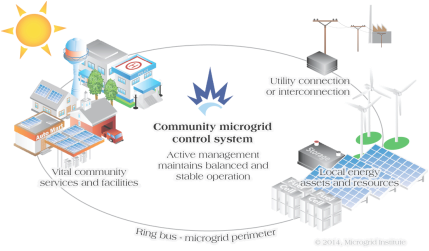 Learn about successful approaches to microgrid project partnerships, financing, and integration into utility systems. Engage in vital market development processes that cultivate new opportunities for cost-effective, resilient, and clean microgrid projects. Contact us to learn more about the many direct and shared benefits of sponsoring Microgrid Institute.